Dr. Xingyuan Chen is an earth scientist with extensive research experience in groundwater flow and transport modeling, stochastic inverse modeling, data assimilation, geostatistics, and ecohydrology. Since joining PNNL in 2010, Dr. Chen has applied various Bayesian data assimilation techniques to characterize the heterogeneous aquifer properties of the Hanford 300 Area by integrating multi-scale and multi-type lab and field experimental data available at the site. 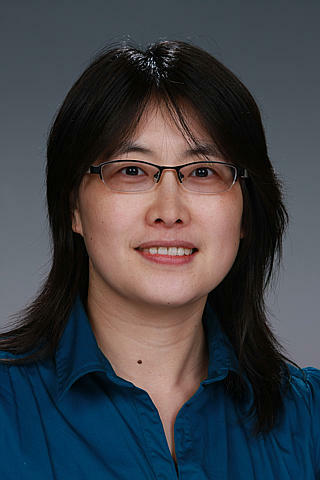 In her research, Dr. Chen has leveraged high performance computing resources, e.g., community flow and transport code PFLOTRAN and the supercomputers at the National Energy Research Scientific Computing Center (NERSC) and Oak Ridge Leadership Computing Facility (OLCF), to enable increasingly mechanistic non-linear forward simulations for a complex system within the stochastic data assimilation framework. Rockhold M.L., X. Song, J.D. Tagestad, P.D. Thorne, G.D. Tartakovsky, and X. Chen. 2018. Sensitivity Analysis of Contaminant Transport from Vadose Zone Sources to Groundwater. PNNL-28065. Richland, WA: Pacific Northwest National Laboratory.